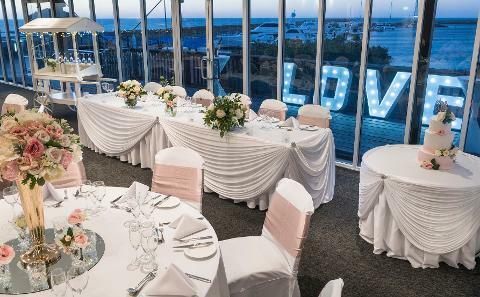 AQWA is a unique venue for your special occassion, located on the shores of the Indian Ocean overlooking Hillarys Boat Harbour. 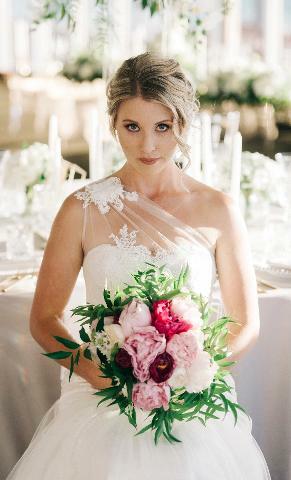 Offering a range of venues for large to small groups. The view will not disappoint! 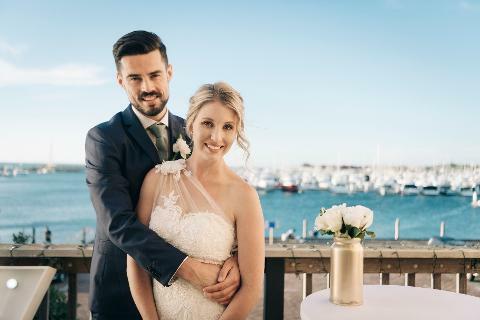 Overlooking the Indian Ocean and Hillarys Boat Harbour, the Sunset Suite is the ideal venue for larger weddings with guests enjoying access to a private terrace, dance floor and exclusive access to the underwater aquarium and its exhibits pre dinner. 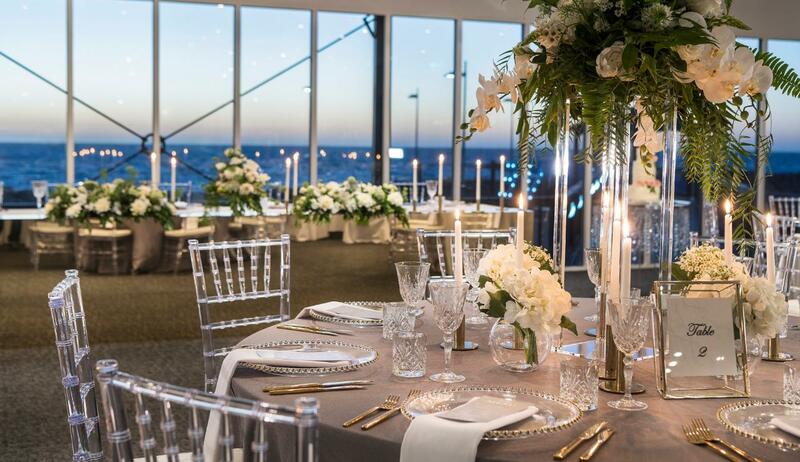 Floor to ceiling windows frame the spectacular sunsets no matter the season or weather. 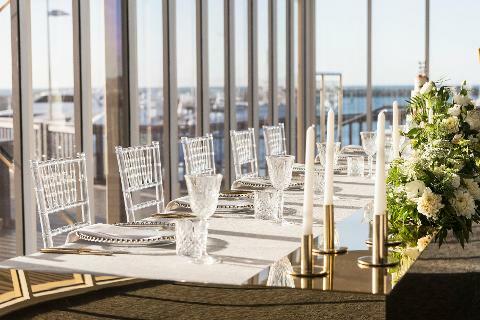 The large terrace area can include additional outdoor seating if required and offers guest the opportunity to enjoy the ocean breezes. 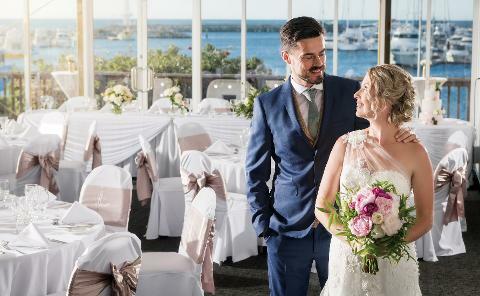 Ideal for groups requiring an intimate setting, The Aquarium Suite overlooks Hillarys Boat Harbour with ocean views and private terrace access and dance floor, ideal for the balmy summer nights. 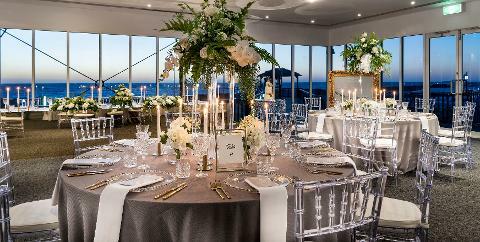 Overlooking the Indian Ocean enjoy, canapes, drinks and a refreshing sea breeze under a setting sun. A great way to start the evening in a relaxed outdoor setting. Descend into the underwater tunnel for a private dining experience. Immerse yourself below the sharks, stingrays, turtles and hundreds of stunning fish while enjoying a three course meal.